March 17, 2017 – Mister Journalism: "Reading, Sharing, Discussing, Learning"
Trump’s deregulatory czar is shorting renewable energy credits on the assumption that Trump will heed his advice about changing the rules for ethanol blending. Four GOP governors added their voices to the chorus of opposition to Speaker Paul Ryan’s proposal to replace the Affordable Care Act, saying it fails to give them the flexibility or resources they need to adequately deal with the insurance needs of lower-income Americans. WASHINGTON — Four Republican governors added their voices to the chorus of opposition to House Speaker Paul Ryan’s proposal to replace the Affordable Care Act, saying it fails to give them the flexibility or resources they need to adequately deal with the insurance needs of lower-income Americans. A senior Republican congressman says that former President Obama deserves an apology over President Trump’s unproven allegation that Trump Tower was wiretapped during the 2016 campaign. “Frankly unless you can produce some pretty compelling proof, President Obama is owed an apology,” Rep. Tom Cole (R-OK) told reporters on Friday when asked about the matter. The heads of the Senate Intelligence Committee stated on Wednesday afternoon that they had seen “no indications” that Trump Tower was surveilled by the U.S. government as President Trump alleged. Their counterparts at the House Intelligence Committee came to a similar conclusion the day before. Both panels are investigating Russian interference in the 2016 presidential campaign. There is no evidence that food helps raise test scores. One more snowflake wants to eat. Mind you, this is from the administration that wants us to believe that three million votes were cast illegally, that Obama wiretappppped Trump Towers, that microwaves can be used to spy on us– all this and more, without a shred of evidence. But children doing better in school because they have gotten food to eat– that is some wildass crazypants conspiracy nutbaggery. You think being able to eat food helps children do better in school?? Woah– just let me check you for your tin foil hat. Reformsters, this is at least partly on you. This is the logical extension of the idea that only hard “evidence” matters, and only if it is evidence that test scores go up. We’ve dumped play, understanding of child development, and a whole bunch of not-reading-and-math classes because nobody can prove they help raise test scores to the satisfaction of various reformsters. It was only a matter of time until some literal-minded shallow-thinking functionary decided that there was no clear linkage between food and test scores. Or anything else, actually, since another program that Mulvaney singled out for its unproven worth was Meals on Wheels. This is another impressive piece of brain-twistery since there is, in fact, plenty of proof about the effectiveness for Meals on Wheels. But biggest crowd ever for inauguration. Illegal voters. Wiretappping. Oh yeah– and school vouchers. The need for evidence is, I guess, a selective thing. Meanwhile, I suppose we could conduct a study that establishes that students who have actually starved to death get lower results on standardized tests. And then we could work out the increments for exactly how much food is useful for getting test results. It may be that just some bread and water are all that’s necessary (crusts only). 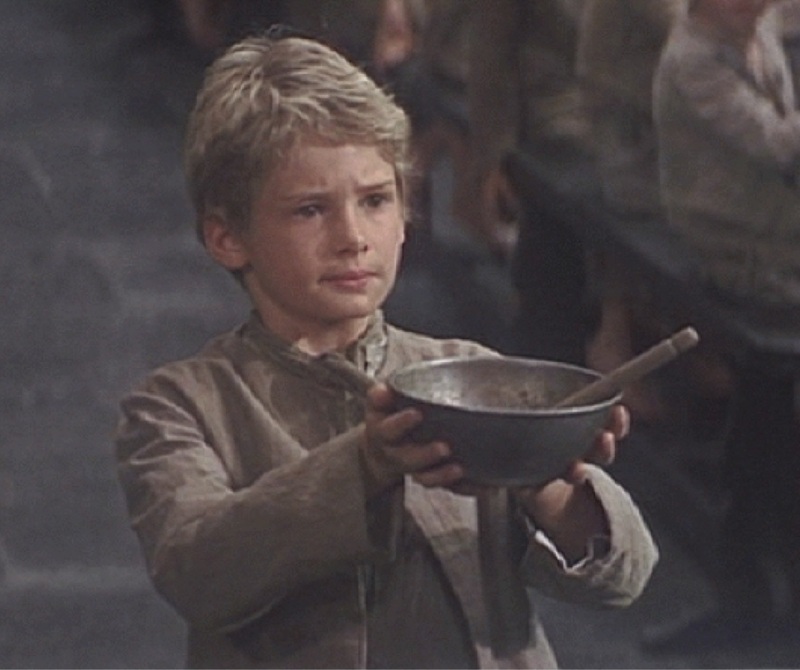 Maybe just one bowl of gruel a day. Lord knows we don’t want to waste money feeding hungry children if we’re not going to get decent test scores in return. You are never too young to start understanding that if you choose to be poor, you’ll have to earn whatever scraps your betters decide you deserve. Self-funded candidates clearly face unfavorable odds — but why is that? Let’s say you flip a coin, and it lands heads up. You flip it again, and it’s heads a second time. You toss it once more — you’re feeling exceptionally lucky — and it’s heads for the third time in a row. The chances of that happening are 12.5 percent. In the 2016 cycle, that was precisely the likelihood of winning a federal race with a self-funded campaign. According to our tally of lobbying $$ spent in 2016 (our version of March Madness) Northwestern has won OpenSecrets’ K Street Classic with $614,513 total. According to our tally of lobbying dollars spent in 2016, Northwestern has been crowned OpenSecrets’ K Street Classic winner with $614,513 total. … read more. This story, and others relating to Russia and other countries couldn’t be told without filings required by FARA, the Foreign Agents Registration Act. A former national security adviser was paid more than $500,000 by a group linked with the Turkish government. An Egyptian intelligence agency hired public relations firms. Iraq sent letters to top Trump officials. The president was appearing alongside Michigan Gov. 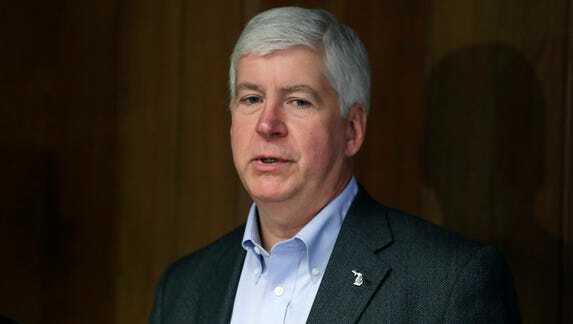 Rick Snyder, a Republican, on Wednesday to tout plans to bolster manufacturing in the state and review Obama-era fuel-standard regulations opposed by automakers.